1 Why Does My Cat Keep Scratching Things? 2 What Kind of Materials Do Cats Like To Scratch? 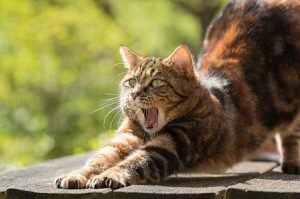 3 When Do Cats Scratch? Thank you for this post. I have been considering getting my cat a cat tree for this very reason. Your article helped me confirm what I needed in order to help fix the furniture situation as well as why cats do what they do. I love my cat to pieces so I wouldn’t give him up no matter what he does and I would never declaw him either. Their claws are part of their skeletal structure as you say, and I could never bring myself to hurt them like that. Thanks for your comment and thanks for sharing. I’m glad that you have found value in this information. Sadly, many people don’t realize the pain declawing causes. 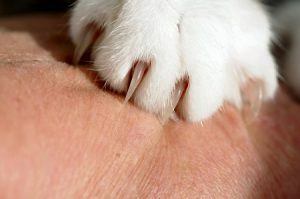 I know from experience before I was properly educated, I thought the claws were just like nails that you cut off. I never realized that they in essence remove part of their fingers. Now I’m on a mission to help people resolve their cat’s issues without resorting to this harmful and unethical form of treatment. We have two sweet little rescue cats, who have all their claws. One of ours had a deformity from birth, so he can’t use his front paws or claws, but the other is a scratching machine! We have a scratching post, but they don’t use it consistently. Ours is made out of a combination of carpet and rope, but I think I may need to look into some of those wood options you’re recommending here! Wow, thanks for sharing this! That’s awesome! 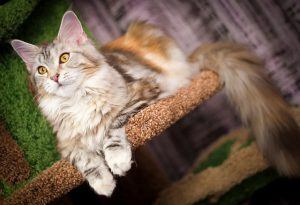 Yeah, scratching posts tend to only take care of a small portion of your cat’s scratching needs so they get board with them or they still have residual needs after using it. Its kind of like using a back scratcher that only reaches certain parts of your back to itch but your whole back is on fire. Your driven to insanity because of the regions that still itch that you can’t reach with the back scratcher! Wall mounted cat trees would be a good option for you too because they can really get active and interactive while saving space too! I’m glad you found value in this info!